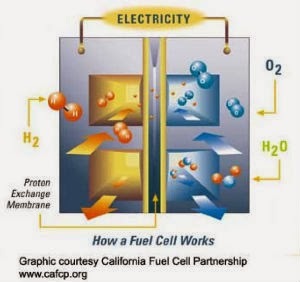 The biggest obstacle to an affordable fuel cell vehicle is the fuel cell. Toyota recently got a lot of press when they announced that their 2015 fuel cell car would cost less than $100k. 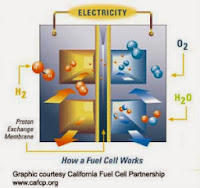 Fuel cells are currently expensive and currently have a short lifespan. They can be made durably, or they can be made cheap(er), but they currently cannot be both. If the fuel cell is $50,000 and will only last about 50,000 miles, this is not a viable option. Advancements in fuel cell durability and cost are needed. By 2030, the Department of Energy estimates that the price for an average FCV will be around $34,181, before government subsidies. That's in comparison to their unsubsidized price prediction for a 300-mile range battery electric vehicle in 2030 of $34,979. I hope the DOE is correct about their 2030 prediction for the price of a fuel cell vehicle. Today, however, fuel cells are expensive and short-lived. 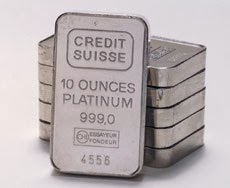 They have rare and expensive materials such as platinum. Research is being done to find cheaper ways to make them that use little or no platinum, but so far these not led to a commercially viable fuel cell. As anyone that has followed fuel cells (or any number of other "on the horizon" technologies) can attest, promises and predictions are much easier to make than high volume production products. The upfront cost of the vehicle is only one factor in the total cost of ownership. Another big expense is fueling over the vehicles lifetime. At today's standard household rate, I currently pay 2.5 cents per mile to drive my EV. How much will it cost per mile to drive an H2 powered vehicle? The gasoline industry that is currently getting 10 - 20 cents per mile will certainly try to protect their revenue stream and extract a similar amount from this new fuel. So, if the DOE's prediction is correct that EVs and FCV will eventually have nearly the same purchase price and one is a fifth the price to fuel, which would you buy? That adds up to thousands of dollars per year in savings for an EV compared to an FCV, even in 2030.